Corruption; inept officialdom; capitalism, the pretensions of social class and status: few elements of Victorian life seem to escape Dickens’ scrutiny in Little Dorrit. Much of Dickens’ ire in Little Dorrit is focused on government bureaucracy. He brings it to life with the wonderfully imaginative invention of the Circumlocution Office. It’s a government department run entirely it seems by the incompetent and the inept (ring any bells???). Its sole purpose is to frustrate and obstruct anyone who has the temerity to ask for information or assistance. Forms need to be filled in just to request permission to fill in more forms to ask for an appointment. (the Soviets learned a thing or two from the Circumlocution Office methinks). Some of his greatest anger is directed at debtors’ prisons such as the notorious Marshalsea in which people who owed money were imprisoned until they repaid their debts. It was an impossible situation because they were not allowed to work so had to rely on family or friends to help pay bills and to provide food and clothing. Such becomes the fate of William Dorrit who moves his entire family into the Marshalsea when he becomes a bankrupt. His youngest daughter Amy (the Little Dorrit of the title) is born within its walls, becoming a true child of the Marshalsea. But even in prison the appearance of gentility and the gradations of class and status must be maintained. 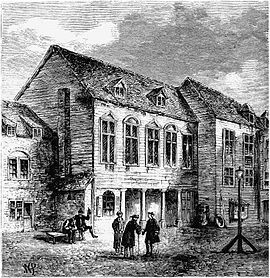 The Marshalsea inhabitants refer to themselves as “collegians” rather than prisoners; Papa Dorrit pretends ignorance about the fact his daughters go out to work every day to put food on the table, and openly solicits financial gifts from visitors, masks their true nature by calling them “tributes” and ‘testimonials’. As his status within the prison rises and he becomes the longest-serving resident, so his consciousness of his status increases, going into orbit when he is released upon discovery that he is in fact a very wealthy man. 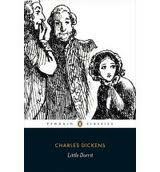 What Dickens shows is the personal cost of such esteem for one’s position in life. Mr Dorrit is so blinkered by his sense of his own importance that he fails to connect with the one person who loves him without question – his daughter Amy. Though she has loved him without question for decades, cared for him and undergone personal suffering so that he would be spared, he does not recognise the debt he owes her. Instead he subjects her to criticism over petty mistakes and castigates her when she doesn’t wholeheartedly welcome and adopt the trappings of the family’s new-found wealth. Does he repent on his deathbed as characters do in so many novels? I won’t spoil the plot by disclosing that; you’ll just have to read the novel yourself. The Dorrits are a far cry from the epitome of the happy loving families found in Dickens’s earlier works. None of the families in Little Dorrit actually fit that particular description being neither loving nor happy. They’re all rather dysfunctional in fact. When Arthur Clenhome, one of the book’s good guys, returns to London from China where he ran the family business for twenty years he gets as much of a welcome from his mother as if he’d just returned from a weekend in Brighton. Like most of Dickens’ big novels, the plot does require attention to keep all the threads intact but this book isn’t anywhere as complicated as Bleak House. It also relies on a remarkable series of coincidences – the first two characters we meet in a prison in France not only turn up again in London many many chapters later and somehow manage to play key roles in the plot. But it wouldn’t be Dickens without coincidence would it. Nor would it be Dickens without a wildly extravagant female character. Just as Dombey and Son has the dippy Miss Lucretia Tox, and Martin Chuzzlewit has the drunken nurse Sarah Gamp, in Little Dorrit Dickens serves up the garrulous Flora Finching to entertain with her gushing and breathless simpering talk of nothing in particular. A brilliant invention. So in case you haven’t twigged by now, yes I did enjoy this book. And yes I would definitely read it again. Posted on April 2, 2013, in Classics Club and tagged Charles Dickens, Little Dorrit, social criticism, Victorian literature. Bookmark the permalink. 11 Comments. Thanks so much for the visibility! I think I must have watched the series Rachel but can’t remember much about it. What a great review! I had years and years of hating Dickens after being forced to read him in school (it ruined him for me). Then just recently my real-life book group read Great Expectations and a friend suggested I listen to it on audio book. She’d found the experience completely different to reading and much better. So I listened to Martin Jarvis’s reading and it was wonderful – moving and exciting and poignant. Now I want to try reading Dickens again, to see if I’ve recovered his whole oeuvre. I do hope so!